The autumn weather is friendly and the beautiful foliage outside begs to be explored. As you spend time with your pooch this new season, ensure he does not develop autumn dog sickness. Here are tips on how to keep your dog healthy this fall especially if you have a new dog. Pets get autumn dog sickness in several ways. It could be a strange plant he ingests doing your normal walk in the woodland that gets him sick. Or maybe he overindulged on some party leftovers and he suddenly is bedridden. The potential for pet sickness is high this season so you have to be extra vigilant on your dog. Mushrooms will be among the foliage that blooms this season. While most mushrooms are edible, some, like Amanita phalloides, can be toxic and dangerous to your dog. Poisonous shrooms may cause abdominal pain, diarrhea, vomiting, tremors, or seizures. In worse cases, toxic shrooms can cause liver and kidney disease. As you take your normal stroll through the woods with your pup, ensure he does not wander off alone. Especially if you spot several shroom clusters around your area. In addition, visit a vet clinic if you suspect that your pup swallowed poisonous shrooms. Dogs love nuts especially peanuts. However, some nuts can be harmful to your canine buddy like the horse chestnut fruit or Conker. When swallowed by your dog, the Conker nut may get stuck in the throat and choke your dog. Also, Conker fruits release a toxin called aesculin when chewed. This toxin when ingested can cause collapsing, vomiting, restlessness, diarrhea, and pain. The Horse Chestnut tree is a wild plant but may also be grown in your home for decorative purposes. If you have Conkers in your backyard, keep your dog away from them. It is possible for your pup to suffer from autumn dog sickness even when there is no probable cause. There have been health reports proving that pets get afflicted by a mysterious illness especially around August through to November. Symptoms your furry friend may experience include mild fever, sneezing, lethargy, and coughing. Most of these symptoms will wear off with 72 hours or 2 weeks. Nevertheless, it is still important to take your dog to a vet just to be sure he is not in any danger. Note that seasonal illnesses can affect your dog even if he is up to date with his vaccine shots. It is possible your pooch is getting autumn dog sickness from party leftovers. There are plenty of Fall parties you will through for family or friends and, of course, your pooch is welcome to attend all of them. However, you should never let him feed off the scraps on the table or on the ground. This may seem harmless as it offers a break from his regular diet. The problem is that his gut flora (digestive bacteria) is accustomed to digesting pet food. Any sudden change in diet will upset his gut causing him to feel nauseated, lethargic, or bloat. Even if you feel like taking a break from your chef duties, just keep to his normal feeding routine. Get someone to help with the cooking if your hands are full. 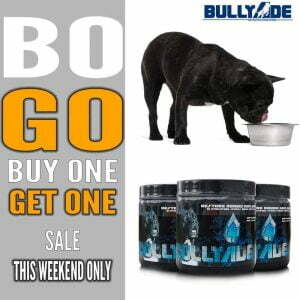 Alternatively, investing in healthy dog supplements can help beef up his diet if you aren’t doing a lot of cooking for him. Besides after party scraps, we also have the leftovers you throw in the trash can. When trash decomposes, it not only lets off a stink but also releases a toxin known as tremorgenic mycotoxin. Your pooch may not mind the stink but this toxin will definitely get to him. It can trigger vomiting, body weakness, and tremors or seizures in your pup. Keep him off the trash at all cost. Prevent him from snooping in your neighbor’s trash can as well. Yes, unfortunately, Bingo has to be exempted from the Halloween goodies as well. He will not like it any bit but will love your concern when he doesn’t get sick off the sugar or toxins in candy. Too much chocolate, for example, contains the chemical theobromine which in large quantities can cause instant vomiting and diarrhea. Theobromine can also cause kidney and heart problems or issues in the central nervous system. It is also possible for your dog to swallow candy sticks or wrappers which may choke him. It may be hard to control the number of goodie bags lying around during Halloween. However, you can control your dog’s movement during Halloween, ensuring he does not succumb to the temptation of overindulging in candy and get sick. Granted, you want your pup to enjoy Halloween as well. So why not let him have his own doggy treats packed with healthy nutrients? There are plenty of doggy treat recipes available for inspiration. Harmless plants like acorns can also cause autumn dog sickness. Acorns contain a chemical called tannin acid that may damage your dog’s kidneys or liver. While one acorn is totally harmless, ingesting one too many can be hazardous. Acorns can cause blockage in the gut as well, so your dog should not eat them at all cost. If your pup exhibits any symptoms of autumn dog sickness, rush him to the nearest pet clinic. A professional vet will check your dog for signs of poisoning either by a wild plant or a chemical in your home. 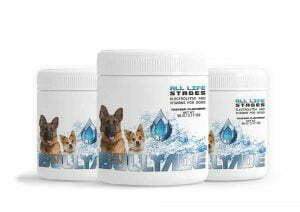 Once your pup gets medicated, ensure he gets enough rest and is always hydrated. 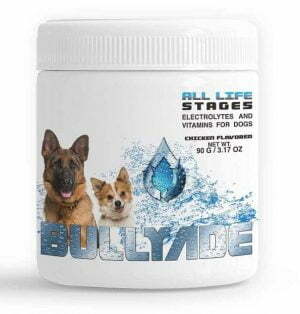 It is a good idea to mix his water with a pet supplement like Bullyade that replenishes the electrolytes lost through vomiting or diarrhea. Mail-Order Bride-to-be and Sugar Baby: Who Is the Right Choice for yourself?